Wisdom teeth are the third set of molar teeth in the furthest back part of the upper and lower jaws. They push through after most other adult teeth, between ages 15 and 30. For many people, removing their wisdom teeth at the right time plays an important role in their long-term oral health. 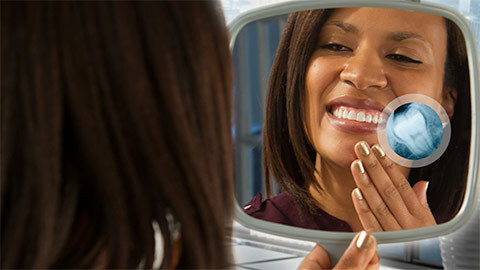 Many people find that their jaws are not big enough to house their wisdom teeth comfortably. 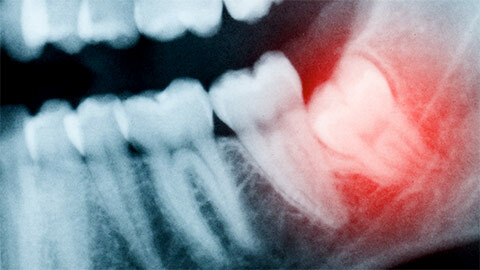 Wisdom teeth can then cause pain, swelling, infection and decrease overall oral hygiene. Dr. Filice assesses the wisdom teeth’s position and will recommend extracting them if they’re a problem. It is best to extract wisdom teeth earlier in life when the bone is less rigid and the extraction is easier to execute. Dr. Filice applies will apply local anesthetic to the area to prevent pain. He may also choose to use a general anesthetic if he is removing several teeth at once or there are other complications. If a general anesthetic is used, you will be asleep during the procedure. Extracting the wisdom teeth involves opening the top of the gum. If there is any bone covering the tooth, Dr. Filice will remove it. He then separates the tooth from any tissue connecting it to the bone and removes the tooth. Sometimes, he needs to cut the wisdom tooth into smaller pieces to make it easier to extract. In some cases, stitches are needed to help the gum heal. Depending on the type of stitches used, they either dissolve on their own or are taken out and the gums become smooth. Recovering from having your wisdom teeth removed usually only takes a few days. Dr. Filice will prescribe pain medication that will help you stay comfortable while your mouth is healing. He will also give you tips to speed up the healing process. It’s important to find out early whether your wisdom teeth will cause problems in your jaw. Check with Dr. Filice whether wisdom teeth extraction is the right decision for you. If you need more information about Wisdom Teeth Extraction in Hamilton, contact us today.